One of the biggest struggles of long distance running is nutrition. It’s a constant experiment to see what works best for your body. Running on an empty stomach vs with a light snack; fueling mid-run; post-workout energy boosts; all a matter of preference and can vary by day and type of run. For me, I can run on an empty stomach (minus coffee…I do love coffee) if it’s a shortish morning run and I don’t have a lot of time to kill between waking up and starting to run. Contrastingly, on half marathon race days I need to eat a pretty full meal to keep me satiated but not overstuffed, and even then I often need 100-200 calories during the race. 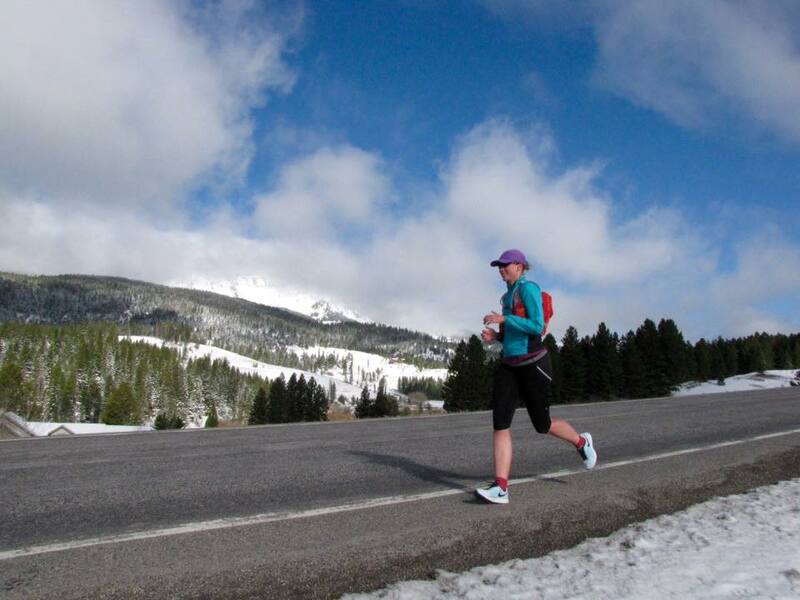 As I become a stronger and faster runner I find I need less to keep me going, but it’s still something I play with a lot during training runs or the “off”-season. Once per week I run up a set of hills near the office. The usual route is only 4.3 miles (unless I add onto it to align with a training plan) but if I push myself it’s a pretty challenging 40+ minutes. I’ve discovered I *can* run the course without eating but it’s a better workout if I have a little something. I’ve tried a number of the standard suggestions (a piece of toast; banana and peanut butter; etc) but they all made me feel a bit heavy and I never felt like I found *the* item that works the best for me. Enter: bulletproof coffee. Although I don’t subscribe to any specific diet, I often read about them out of curiosity or to see if there are any pieces I want to pull into my own life. 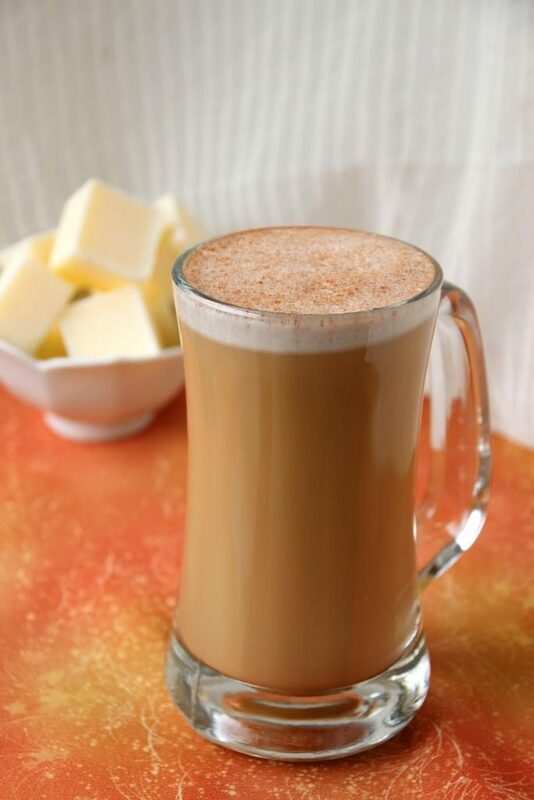 Bulletproof coffee comes from the Bulletproof Diet, which is a high-fat and low-carb situation. I was not inclined to take up the diet itself, but after reading about the coffee and people who had tried it, it intrigued me as maybe a good pre-run snack. Since I always drink coffee before running anyway, this kills two birds with one stone by getting my calories and my coffee all in one. Since it’s liquid, it doesn’t make my stomach feel heavy, and the ~200 calories is a good amount of energy for me. Coffee blended with butter and coconut oil sounds, frankly, pretty terrible, but surprisingly it tastes more like a really creamy and mild latte than actual butter and oil. Using a blender is key here, whisking or stirring by hand won’t work to properly blend everything together. I like to use slightly stronger coffee than normal, and add a dash (heap) of cinnamon because I love cinnamon. It also fits nicely into my Mindful Eating challenge, as it’s something that not only I enjoy drinking, but it makes me feel solid for running. For me this would never be a regular breakfast substitute, and I eat another smallish breakfast after I run (toast or oatmeal with peanut butter and banana, usually), but it works great for an early morning pre-workout energy boost. I found I preferred slightly less than a 1:1 ratio of oil to butter, so definitely play with the ratios a little. Feel free to make your pods smaller if you typically drink less coffee in the morning, or just don’t need quite that many calories to fuel your early morning activities. If you’re an AM exerciser looking for a lighter way to rev up your cardio sessions, and you like coffee, I highly recommend you give bulletproof coffee a try. I like to make the pods ahead of time so there’s no measuring required the morning of running, but until you figure out your perfect ratio you can always make them individually – just make sure your coconut oil and butter are chilled and solid before blending. 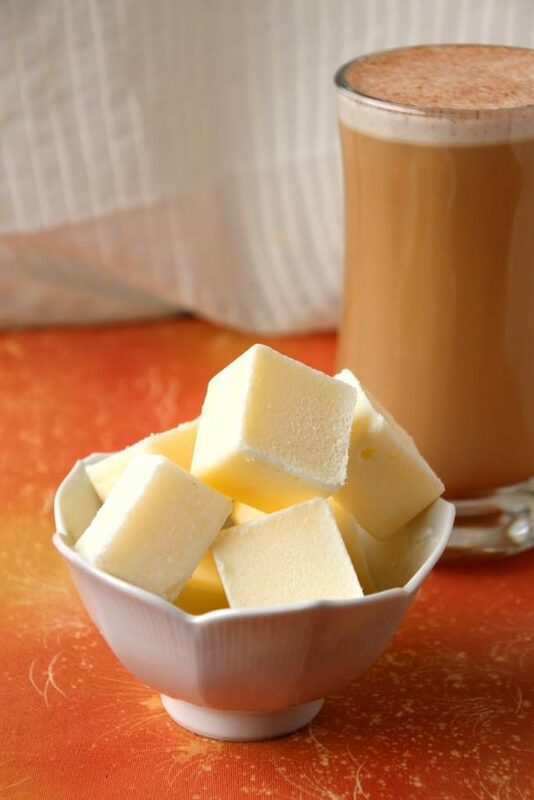 Melt butter and coconut oil in a microwave safe container and stir to combine. Divide between 8 wells of a silicon tray or ice-cube tray. 1 I preferred it with 7 Tbsp of coconut oil for a slightly richer taste, so feel free to play with the ratios a little. Optionally, add a dash of spice to a mug. Add coffee and bulletproof pod to a blender, and blend until extra frothy (about 15 seconds). 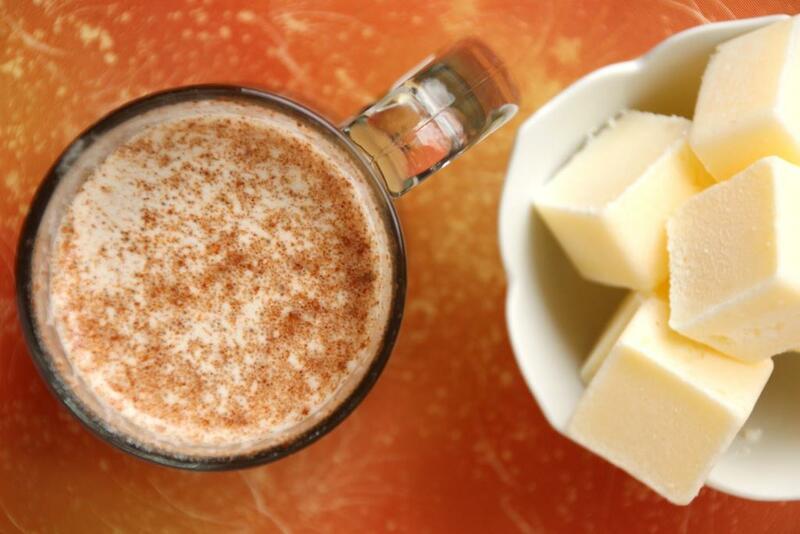 Pour blended coffee carefully into mug to stir in the cinnamon, then enjoy immediately.